Hmm, I’m not sure I believe that. I’ve met so many writers that are dedicated to being true to themselves, even as it hurts the ability to pay their bills. 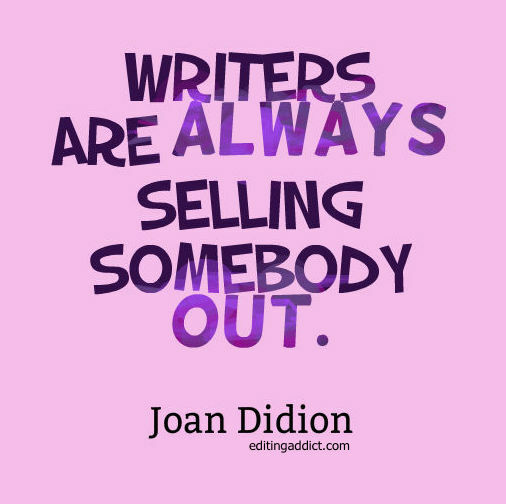 Maybe she means that famous authors are often sell-outs, but I guess that’s probably true in any creative field. I think she was talking about the characters in a writer’s book. Some poor character who trusted the writer is gonna be sacrificed (sold out) for the story to go on.